10k PRICE REDUCTION! Ybor Heights gem. One of Tampa’s oldest and established neighborhoods being brought back to life! This home is celebrating its 100th year birthday this year! Completely renovated from top to bottom and ready for its new owner to celebrate its rebirth! You can’t beat this type of value with an entirely separate guest house & garage in the back! 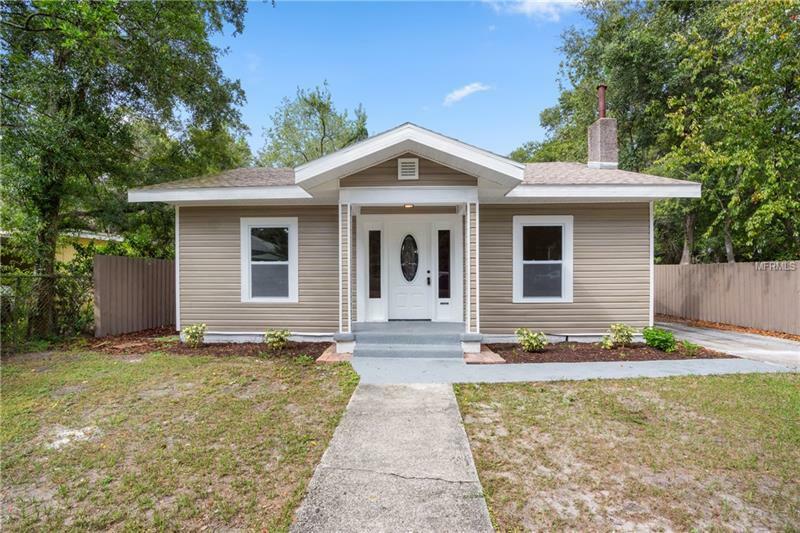 COMPLETELY REMODELED 3 bed / 2 bath single-family home and SEPARATE 1 bed / 1 bath GUEST HOUSE! The primary home sits at 1200 sq ft and features dark wood laminate flooring gorgeous soft-close kitchen cabinets quartz countertops all new appliances AND hurricane impact windows (brand new washer and dryer have also been installed)! The character of the home was left with the original historic chimney that boasts as a beautiful focal point in the living room. Both the primary home guest house and garage are all ducted for central heat/air. There are SEPARATE METERS for both homes and also the option of public water or well water. The guest house and garage are both 600 sq ft. Incredible opportunity to live in one house and rent out / Airbnb the other. The possibilities are endless with this home! Schedule your appointment to see this gem before it’s too late!! !